​We are a dynamic team of multi-faceted professionals that combine years of experience in the following creative arenas: Industrial & furniture design, architecture, planning, landscape design, project management, strategic business models, systems, technology and security. Full Customization Design and Approach: We initiate projects at their inception and formulate the business models needed to needed to bring it to fruition. We are involved at the concept, vision planning, schematic, design documents phases and can carry the built project through the project management phase and final programming. We ensure that every unique model will preform to the desired level of advanced design and are implemented with a strategic phasing plan that renders the business models sustainable. Our extensive research and component based approach introduces technology at the planning, built and programming phases. This enhances the brand identity and leaves every customer with a customized product. We implement a Modern Approach to Architectural Design Guidelines. ​What we like to call Environmental Modernism. Technologies include Net Zero Developer Solutions, Living Walls and Garden Systems as well as Custom Builder Packages, Prototype and Model Home Solutions. ​1998 Founder Nikole Beth worked under ZHA Incorporated under Design Direction Santiago Fernandez. Together acting as owners representative agents for GOAA, they created the 2002 Retail Master Plan for GOAA (Orlando International Airport), currently implemented with success not only to the owner but the facility alike. Creative Content included interactive implementation and broke the traditional "Set Retail Box Plan" while creating pushed out islands and interactive retail kiosk. Creating a Florida Map of experiences while overlaying international boutique concepts created a unique retail mix. Her recommendations brought under realized concept stores such as LUSH to the Retail Mix. OIA remains one of the top producing locations for them and other retailers 15 years later. 2000 Founder Nikole Beth launched independent Design Consultant Firm, Dinergy Group, specializing in Aircraft and Marine Interiors and continued working alongside Ted Black Design as Lead Designer. 2000 to 2004 Founder Nikole Beth continued to expand private clients in the arenas of Commercial Interiors, Commercial Landscape Design, Structural Design, and Land Development. Today, these fostered relationships form the revenue base for operations and Research and Development for EcoHuset. 2004-2006 Founder Nikole Beth worked under Chris Miles with Lighthouse Creative and gained valuable Thematic Park Design Experience. This knowledge would later overlap into EcoHuset's environmental master planning projects and design concepts to create a niche market in 2011 combining Permaculture, Housing, and Spa Themes to the mix. 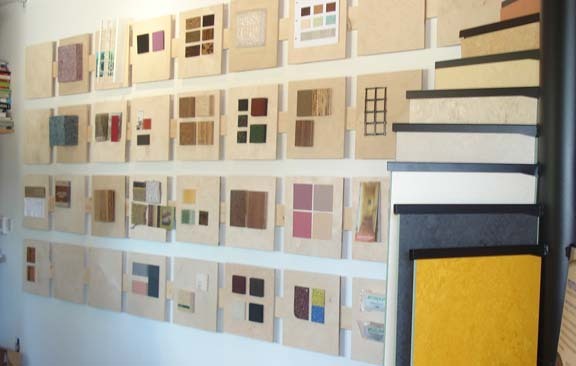 2006 -2009 Founder Nikole Beth launched Eco Huset - A Materials Research Lab in the heart of Orlando Florida. In the middle of the most economically challenged environment in hopes to educate, and create new "Green" Economic Models, the Green Movement was born but 2008 revealed itself. Momentum halted and delayed ripe ideas and the promised green jobs worldwide. Born from this was the companies foundation and philosophy in which the remaining lifes work would follow. She continues to implement these philosophies without any waiver in all projects regardless of economic conditions. Sustainable was reframed to Regenerative in 2008 and remains the driving philosophy. Today, Eco Huset continues to bring new innovative concepts to fruition. Launched in September 2016, a new re-humanizing design movement 4 years in the making became reality with the debut of sister company, Design for the Human Spirit, LLC. A more evolved brainchild of Eco Huset. Much work is needed to counterbalance the lasting effects of the past industrial age and we sincerely hope the seeds we plant will create the next field of change. In Addition Eco Huset helps clients with the developmental stage at inception to come up with concepts, programming, master plans and schematics that integrates Wellness Environments & Healthcare alongside specialized programming called we term PREVENTATIVE HEALTH STRATEGIES & ENVIRONMENTS. As of 2015, we are currently work in partnership with our Wellness Affiliate Sustainable Synergytm as Lead Design Consultant in Central Florida. Projects and Clients include The Lake Nona Institute, YMCA, and Orlando Utilities Commission. Through their Seed2Sourcetm programming, they are on the forefront and leading the community on its way to Food Security. Ecohuset is currently Seed2Source partner lead design partner.